There's no doubt that lemonade is one of the most refreshing drinks to quench thirst during the hot days of summer! If the loads of refined sugar that are needed to make lemonade is what stands between you and a refreshing glass, fret not! 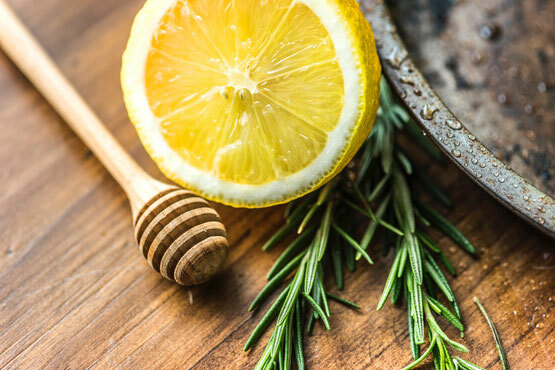 Learn how to make delicious, healthy and guilt-free lemonade with an extra kick of an herbal infusion. When it comes to lemonade, the sky is the limit. You can always experiment with a variety of herbs like peppermint, basil, and lavender; add a spice like ginger or even put some fruit puree in an ice cube tray, add frozen fruit cubes to your lemonade and voila! My favorite is a basil-infused lemonade. Basil has so many health benefits; it can help soothe the stomach, ease acid reflux, calm the nervous system, destroy phlegm and fend off bronchial congestion. - 1/4 cup of fresh basil leaves or your favorite herb. - Prepare your herbal infusion first. Bring 2 cups of water to a boil and then immediately turn off the fire. - Add herbs to the water, cover and let it infuse for one hour. - Strain herbs from the water. At this post you can either cool the strained water in the fridge or just add some ice cubes after mixing the rest of the ingredients. 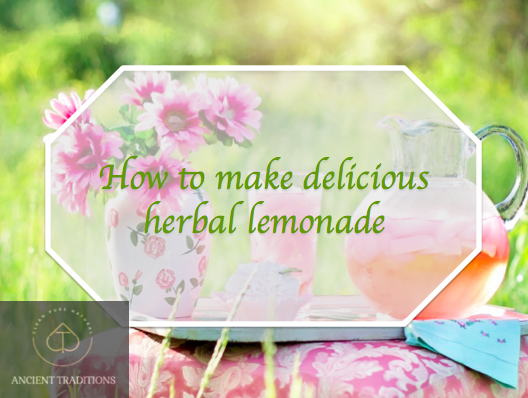 - Mix in the honey, lemon juice and lemon rind. - Garnish the lemonade with berries if using. For another variation: You can use fresh homemade yogurt or kefir instead of the water. If doing so, add the fresh basil, kefir, honey, lemon juice and lemon rind in a blender and blend everything together.